On this day in 1969, Sharon Marie Tate was murdered at the age of 26 while pregnant with her first child. The name of the group associated with this crime doesn’t require a mention: the story of Sharon’s death has become more well-known than the tale of her life and career. This fact is unfortunate, since Sharon was one of the most promising actresses of the late 1960s. Born just before her parents’ first anniversary, Sharon Tate entered the world on January 24, 1943. Her father was in the Army, leading her family to move very frequently, but this was no trouble for Sharon: she was quick at making (and keeping) friends, and she valued the close bond that she shared with her parents. In the 1950s, Sharon’s tight-knit family grew to include two younger sisters, Debra and Patti. Sharon’s beauty was obvious from a very young age. According to her mother, strangers would stop and stare at the lovely little girl, who seemed to capture attention no matter where she went. Before she was even a year old, Sharon had won her first beauty contest. Her pageant success continued into the 1960s, when it led to work as a model before dreams of Hollywood took over. Once she made the big move to California, Sharon began appearing in commercials (notably, Chevrolet) while she continued modeling. The commercials led to small roles in television hits such as The Beverley Hillbillies and Mr. Ed. Finally, Martin Ransohoff cast her in Eye of the Devil, a 1966 horror which supplied Tate with her first major, credited film role alongside Deborah Kerr and David Niven. Next up were two completely opposite films. The first to be released was Don’t Make Waves, a beach film starring Tony Curtis and Claudia Cardinale, which allowed Sharon to showcase her knack for comedy as the skydiver who captivates Curtis’ attention. Sharon impressed the cast and crew by performing her own stunts, and impressed audiences with her beauty and charm. Sharon reportedly worried that the film would pigeon-hole her into roles that focused on her beauty. Sharon received a Golden Globe nomination for her her next film, which became her breakout performance. That film was 1967’s Valley of the Dolls, a film in which she portrays a popular but not necessarily talented showgirl who battles against an ill-fated marriage and pregnancy, medical crises, a roller coaster of a career and a long-lasting addiction to prescription drugs. She garnered critical praise for the performance, and her level of fame began to rise. Things were tense on the set and Sharon was again disappointed with her aesthetically-focused role, but she gave it her all and stood above the behind-the-scenes drama. Today the film is remembered as a camp classic, and Sharon’s performance remains a viewer favorite. It has the longest-lasting legacy of any film in Sharon’s short Hollywood career. Following her Valley success, Tate made two more films. The first was 1968’s The Wrecking Crew, an action-comedy co-starring Dean Martin. Again, she received critical praise and impressed the film’s cast and crew. Martin even went so far as to say he’d sign onto a sequel (which would be the fifth film in the series, but only the second with Sharon) if she would agree to star alongside him again. Sharon then moved on to what would be her final film, Nicolas Gessner’s 12+1, co-starring Vittorio Gassman and Orson Welles. She was to portray Pat, an American woman living in London, who helps a man search for a chair that holds a fortune. Though Sharon found out that she was pregnant in late 1968, she refused to back out of the film, which was scheduled to begin filming in March of the next year. Sickness and the general difficulties of working while pregnant made the filming experience unpleasant, but Sharon still pushed on, never asking for special treatment or giving up on the role. 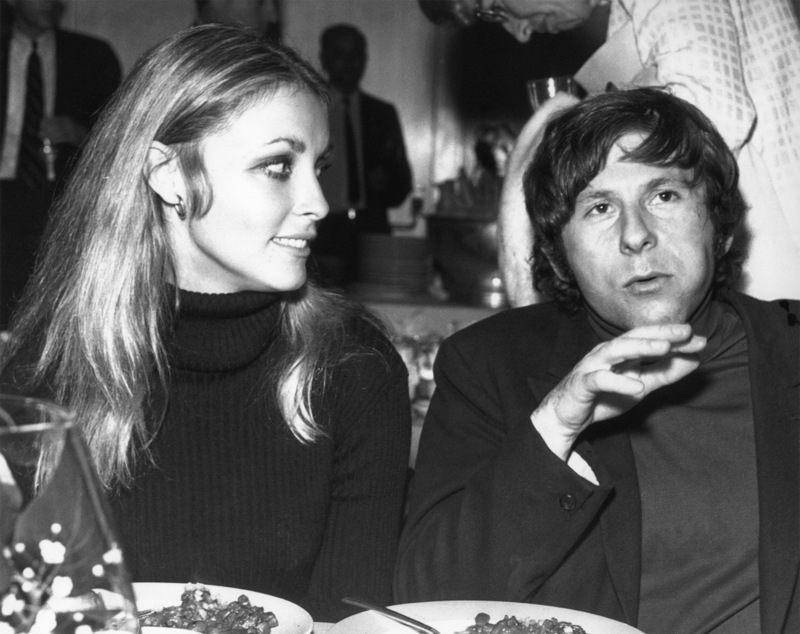 When filming of 12+1 was complete, Sharon returned to California after spending a short time with Roman in London. Soon after her return, she would meet her terrible end at the home she and Roman had rented after learning of the pregnancy. With such a promising beginning, there’s no telling the heights that Sharon’s film career may have reached had it not been so unfairly cut short. It’s been 43 years since her life was taken, but her films and the extremely dedicated effort that she put into each one will continue to live on. All images credit Doctor Macro’s High Quality Movie Scans. Special thanks to the official Sharon Tate tribute site for providing the above quotes and information about Sharon’s childhood. I liked Sharon in ‘Don’t Make Waves’ an odd, quirky, and yet strangely diverting film. ‘The Fearless Vampire Killers’ has a very interesting atmosphere. This is a very good write-up and I like how you focused on her career, which not enough people know about instead of her untimely murder. Thank you! It saddens me that the collective mind of the world remembers her not as a promising actress, but as a murder victim and nothing else. (It also sickens me how many people find this post by searching for photos of the crime scene.) It’s rare to see her films discussed, and I wanted to pay tribute to her talent. Previous Previous post: Saying goodbye to Off Topic Thursdays… for now!